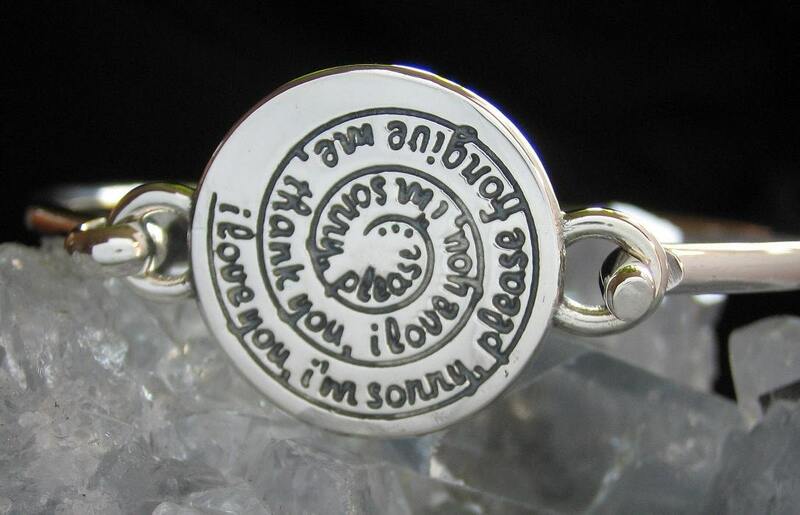 Ho'oponopono bracelet, spiral in sterling silver, made in NY, NY. This Ho'oponopono bracelet is made using solid sterling silver. The band is attached to the spiral circle center, which measures approximately 22.5mm tall and 2.5mm thick. The center spiral circle is cast and hand finished in NYC and is USA made. The sterling silver is a minimum of 92.5% recycled metal. The bracelet uses tension to remain securely locked in place.